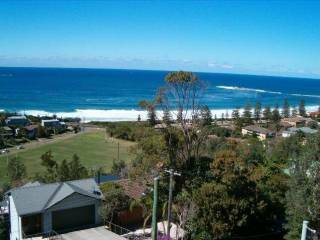 Large, top storey beach house with a 3 minute walk to enclosed water beach and 5 minute drive to surf beach.This newly renovated house has water views from every room, separate bedroom,bathroom, laundry, gourmet eat-in kitchen and decks facing both sides. 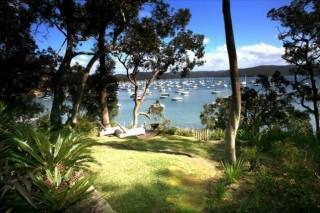 50 minutes drive from Sydney CBD. 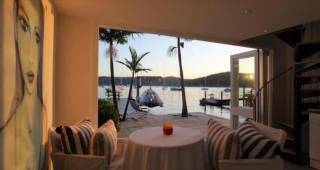 Exceptionally spacious, 1 bedroom, newly renovated top storey beach house, with separate bedroom, Bathroom, full sized Gourmet eat in kitchen & internal laundry..with water views from every room. 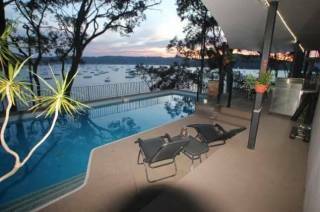 Large living area with decks facing both sides with exceptional Pittwater views as well as north facing outlook to Ku-ring gai National Park. 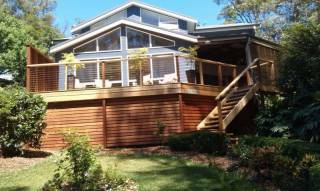 Full sized BBQ & entertaining area, own private entrance and native garden setting. 42" Plasma TV, Blu-ray / DVD player, Stereo System with AUX and Bluetooth for iPod, iPhone, mp3 player and free WiFi. Water taxi facilities also available from public wharf. House is not suitable for small children, due to stairs and high decks. 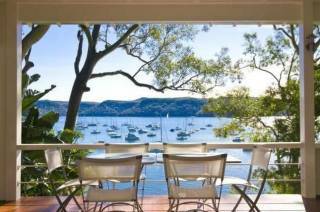 This property is totally private and has been designed so no actual area is shared. We are only too happy to assist at anytime ,having lived in the area for over 20 years,we are have great local knowledge. Accommodation is priced for 2 but a double futon is available for an extra 2 guests at $25 per guest per night.